Hair Force and TanFasTics is a locally owned and operated full service hair styling, nail, waxing and tanning services family salon celebrating 35 years of service to Andrews AFB and the surrounding Prince Georges County area, a suburb of Washington DC. 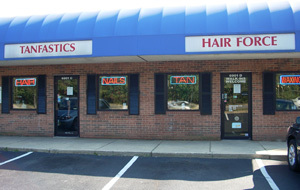 Hair Force is conveniently located off Route 5 Branch Avenue about 3 miles south of the Capital Beltway Route 495 just outside the Virginia Avenue gate of Andrews Air Force Base. 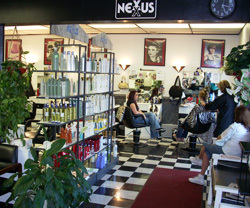 A full service salon for men, women and children. 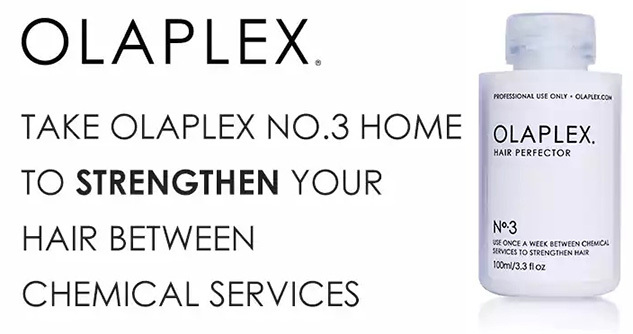 Expert care for your hair and nails. Year-round tanning for your body. Our clients come from these areas in Prince Georges County MD: Beltsville, Berwyn Heights, Bowie, Cheverly, College Park, Crofton, Davidsonville, Glenn Arden, Glenn Dale, Greenbelt, Hyattsville, Landover, Lanham, Largo, Laurel, Mitchellville, New Carrollton, Riverdale, Seabrook and Upper Marlboro. Hair Force offers a wide variety of services and products as well as customized services to accommodate all of our client's personal needs. Call or Email us for more info. Hair Force is the best family hair care service available. Hair Force’s expert stylists: Theresa, Sheri, Christina, Kathie, Becky, Peggy, Anna, Cindy, Diane, Beth, Sarah and Amy look forward to meeting you and making you look your best, while continuing our education so we may serve you better. 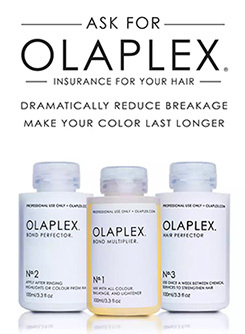 *For corrective color a consultation is required. All prices are subject to change. Prices may vary with length of hair. 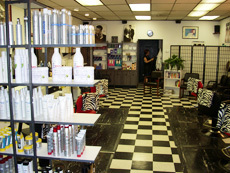 Hair Force proudly uses Hex, Wolff, Ergoline, and Sundash tanning beds and booths. 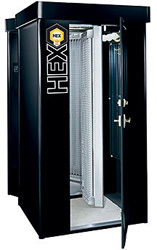 HEX upright tanning booth... Indoor tanning the natural way! 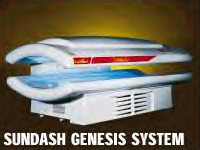 Unlike tanning beds HEX vertical tanning booths allow you to stand and move around while tanning, resulting in the best tan attainable. Please refrain from using any everyday oils that contain mineral oil. This ingredient will ruin the acrylic shield on the tanning beds. 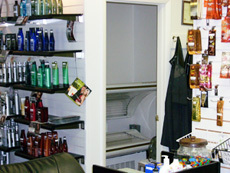 We offer a wide variety of tanning lotions that can be used both in the tanning salon and outside. Are you concerned about recent news about tanning? Visit TanningTruth.com - the source for scientifically supported material on the balance between the benefits and risks associated with ultraviolet light exposure and suntanning. ALL session packages expire within a 6-month time frame. All packages will be considered invalid once the package has reached the 6-month expiration date. ALL consecutive day packages must be used within the specified time frame. We now offer Gift Cards!! Call 301-868-2622 or Email for details. 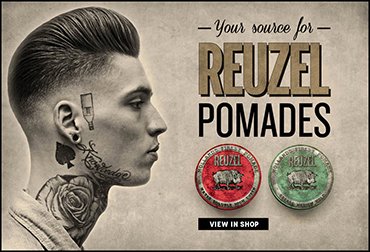 Please tell us what you think about our web site, company, products, or services. Email us or call us with your contact information so we will be able to reach you in case we have any questions. 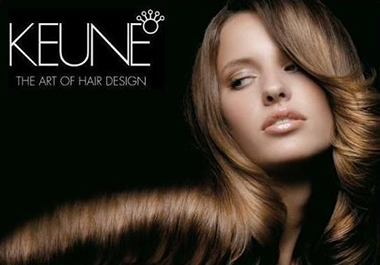 We are always in need of qualified stylists and nail technicians. Please give us a brief resume and we will contact you. 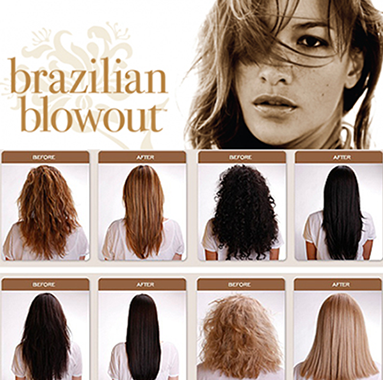 Please feel free to email, call, or visit our salon at any time. When you are looking for a full service hair, nail, tanning salon for men, women and children call Hair Force first!